Hey there everyone! 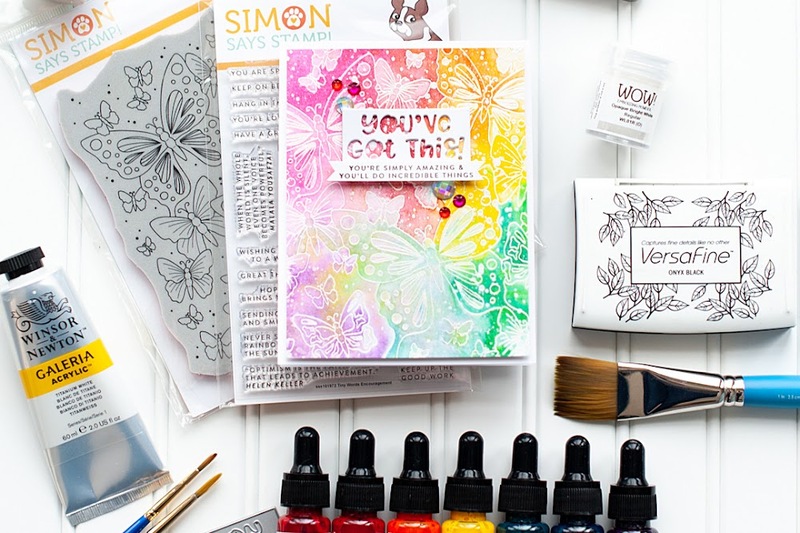 Well, day 4 of the WPlus9 December/January release marks the full reveal of the new stamp sets and dies! Be sure to check out the WPlus9 blog to see the sets in their entirety. I think you are really going to love all three of the sets and matching dies, and they can easily be added to your Christmas wish list!! For today's card I used all three of the new stamp sets together, plus the Love Notes die set. I once again went with a super clean & simple design....almost one layer, except for the diecut love letters. All challenges I created this for are linked at the bottom of the post. Here is what I created! 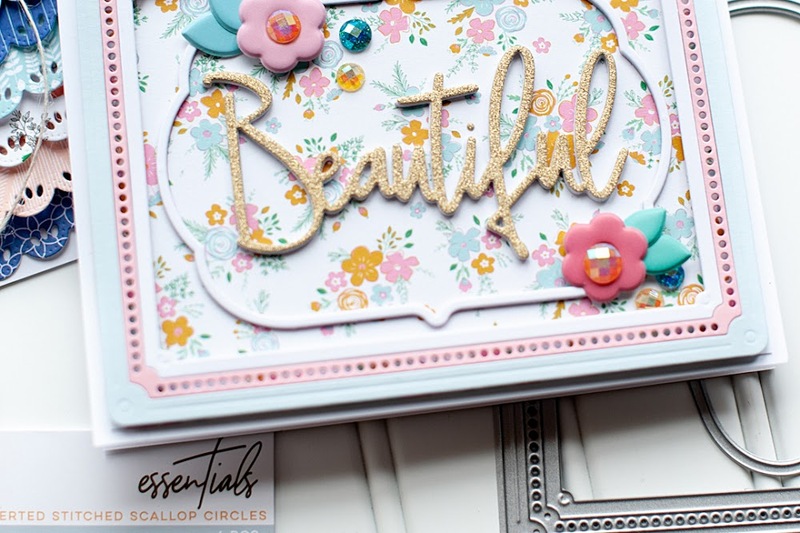 Instructions: Make card from kraft cardstock. Stamp the bird wires twice to the card front. Diecut three love notes from vintage cream cardstock, and line the back with red. Adhere the diecut letters as shown, then stamp the clothespin to each one. Add a jewel to each clothespin, then accent the top wire with two paper flowers. 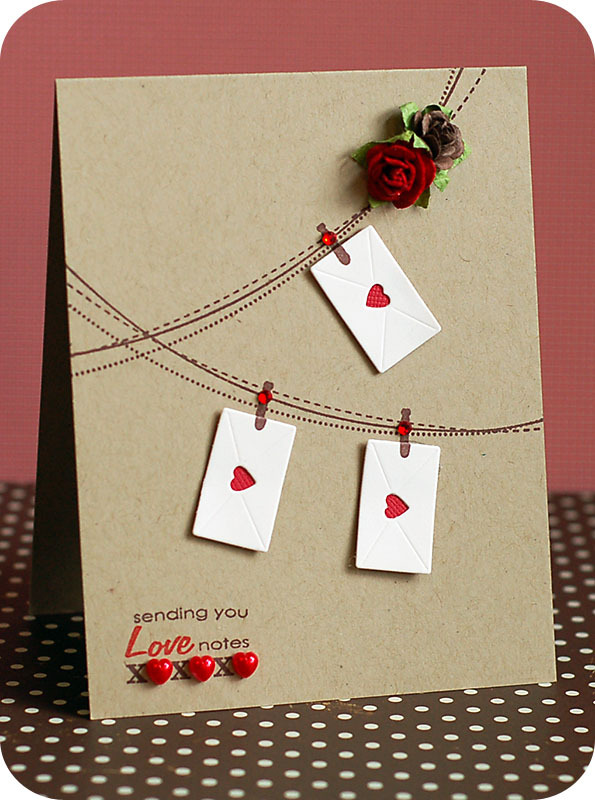 Stamp the sentiment to the lower left corner of the card, and accent with red heart pearls to finish. 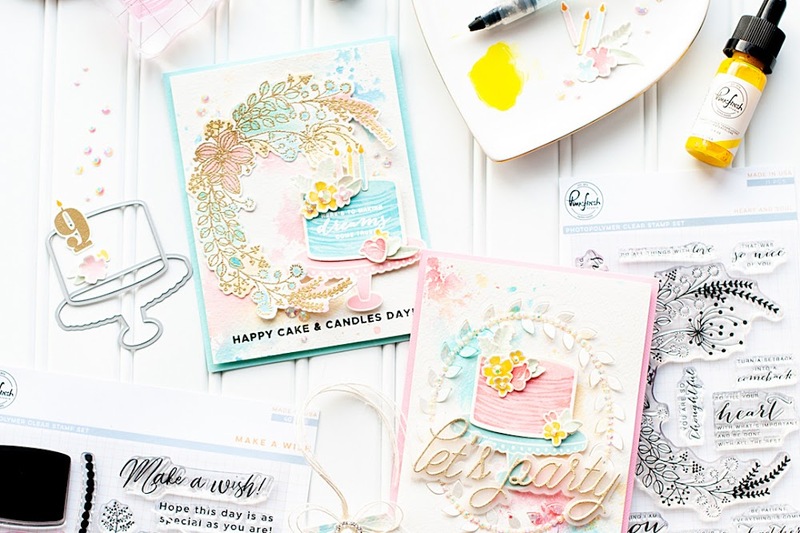 Be sure to check out what Dawn and all the other design team members have created with our latest releases. I know that it will be full of eye candy!! What a cute, cute card! Thanks for playing at RCC! Totaly adorable! I love the letters hanging from the twine! Gret card using this kove letters! Eek! So cute! I love the little gems you added to the clothespins! Lea, this is so adorably sweet! I love your design. The love notes are simply precious. Beautifully done! Saw your beautiful card on the PTI-Make it Monday Challenge. Super adorable, Lea! LOVE the little, red, polka dot hearts! Gorgeous color combo, too! I love this card! Those dangling envies are so cute and so creative! Oh, good grief. Why didn't I think to use those envelopes on the clothesline? So stinkin' cute!! !